One day, darkness enshrouded the world. According to the Meltdown theory, Earth’s magnetic field faced a change, and along with it, natural laws changed too. One of the biggest disasters brought by the magnetic field’s change was the zombification of more than 80% of the world’s population. After years of struggling, a few lucky survivors would evolve and awaken a hibernating power hidden in them. Ten years after the mysterious meltdown, the world dominated by humans changed hands. Zombies were the new overlords, and humanity was facing extinction. One day, Chu Han`s consciousness returned ten years before the end of the world. Chu Han’s sudden reincarnation brought an unexpected power, which he hadn’t had in his previous hellish world. The Meltdown System! 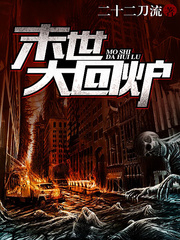 This is a story about a world on the edge of ruins, the Meltdown System, and Chu Han, trying his best to save the people he could not save before.